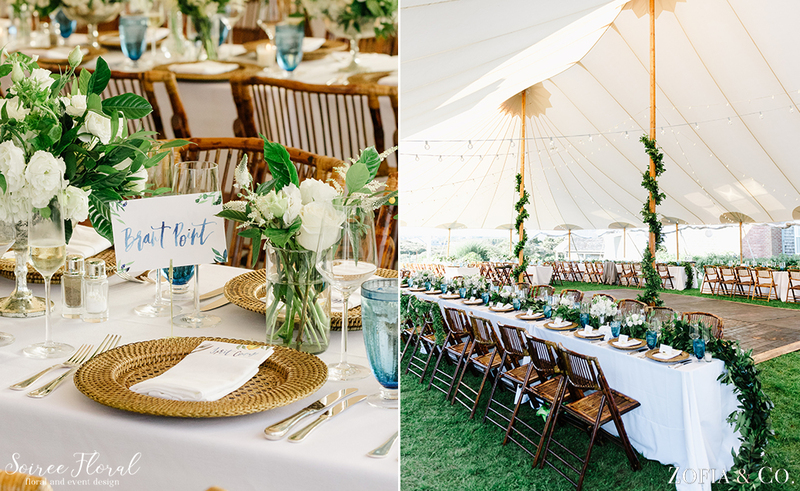 Laura and Matt’s Nantucket wedding at Whale’s Watch was the epitome of laid back elegance. 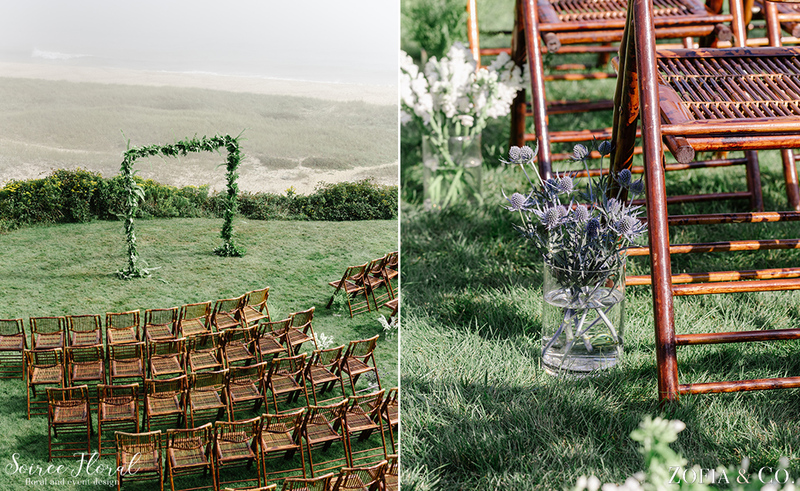 Their ceremony and reception took place at the trio of houses known at Whale’s Watch – it’s really a blank canvas. 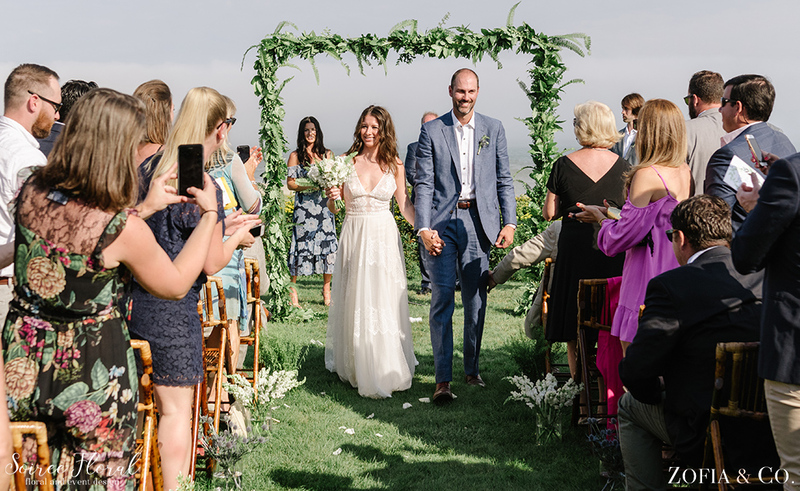 Her vision of having a ceremony overlooking the bluff, was complete with a trellis covered in greens – so simplistic and stunning. 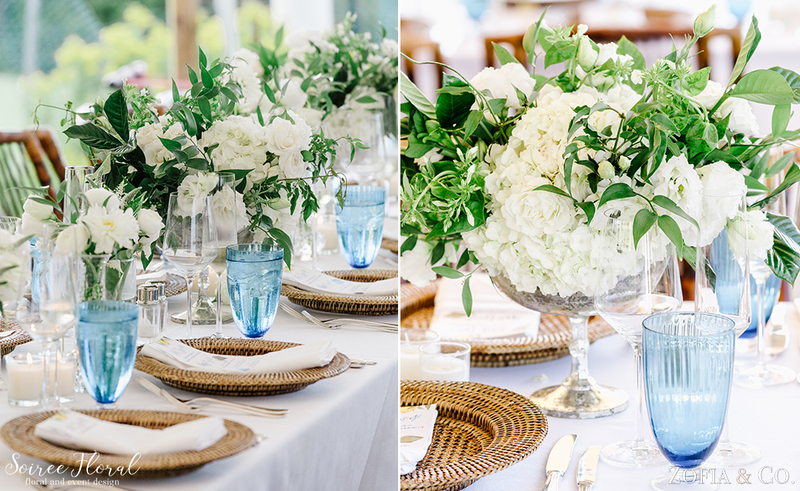 The sprinkling of green and white florals, including ranunculus, dahlias and veronica (to name a few) with lush greenery in compote vases and in bud vases down the center of her tables created an effortless dinner-party vibe with all long tables. 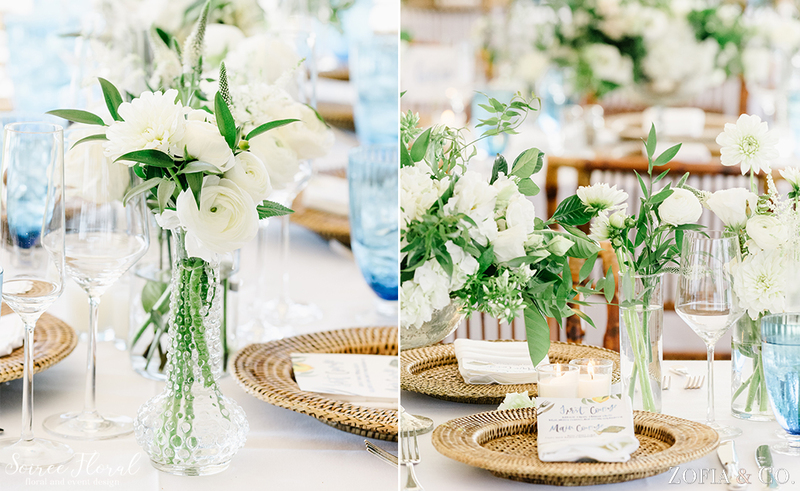 A pop of blue in their water glasses, from Placesetters, mimicked the ocean and the gorgeous watercolor menus by Shannon Kristen provided a small pop of color to the tablescape. 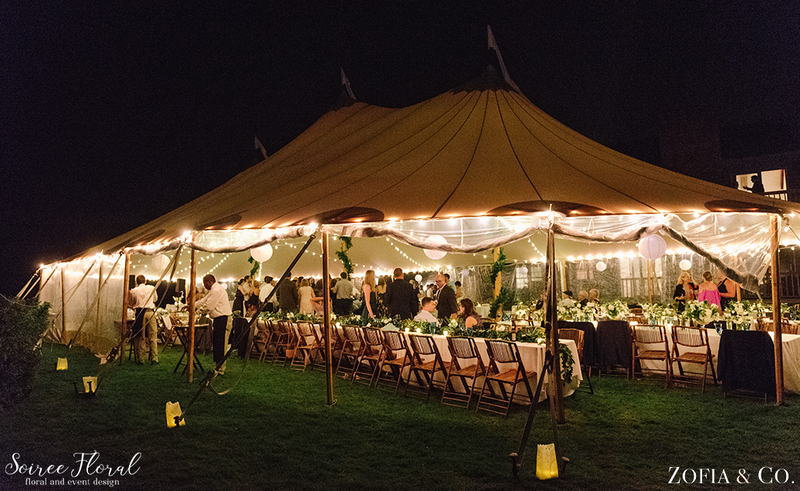 The Nantucket Tents sailcloth tent was strung with lights and adorned with greenery on its poles which provided the perfect touch of garden whimsy to their wedding reception. 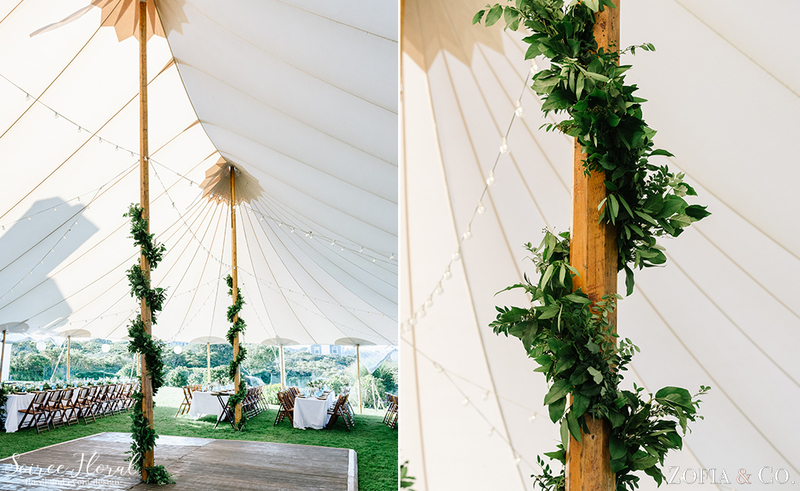 You can see more of their wedding over on Zofia’s Blog. 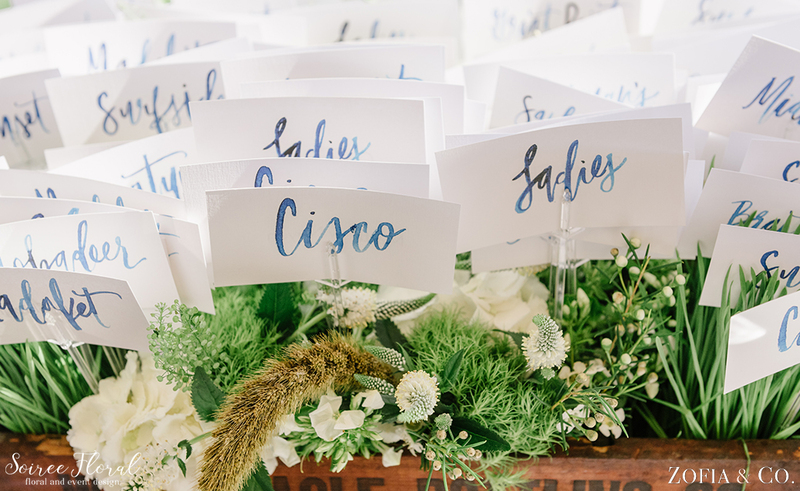 Photography – Zofia & Co.